We have lots of different classes for lots of different interests. If you would like to register for any of our classes, please call or drop in to the store. If a class is full, we will gladly place you on the waiting list for that class. We often get cancellations. Students may join at any time provided there is room. The drawing component includes the elements and principles of design. Students learn to become proficient at drawing and sketching using pencils, inks, charcoal, pastels, and conté. The painting component is also based on the elements and principles of art and design and includes color theory. We provide private lessons at an hourly rate. Special arrangements must be made for homeschool registrations. Contact us for more information. • Fees must be paid every two months or paid in full for the year. Payment methods are limited to cash, debit or credit card at registration and credit card (required on file) for auto-withdrawals every two months. Please note that one month’s notice (on the first of the month) is required to withdraw your child from our program. You will be charged for the next month if we have not received notice of withdrawal in writing. • GST and other supplies are included in the monthly fees. • Classes begin September 4th and continue to June 2019. Children can join anytime. •A registration form must be completed each year for your child to participate in our classes. Classes will introduce students to a variety of subjects including landscapes and animals. Students will explore watercolors, acrylics, pastels, clay and mixed media. Activities are not repeated from session to session, so students continue to learn and grow in skills. Tues. 4:00 – 5:15 p.m.
Students will continue to expand their skills and knowledge of drawing, painting and sculpture. We will study still life, perspective, color theory, landscapes and animals. Activities are not repeated from session to session, so students continue to learn and grow in skills. Wed. 4:00 – 5: 30 p.m.
Students who have completed level II or have equivalent experience in the fine arts are welcome to join us in expanding their skills and knowledge of drawing and painting. We will study still life, perspective, color theory, landscapes, animals and figures. This class focuses on expanding drawing skills and techniques, as well as developing creativity. Students will get a chance to discover multiple drawing mediums such as pen & ink, marker, watercolor pencils and color pencils, pastels, charcoal and conté. Perspective, still life, portraiture, figure, animal, landscape, fantasy and abstract drawing will be covered. Fridays 1:30 – 3:30 p.m.
Fridays 4 – 6 p.m.
•Children should not arrive more than 10 minutes before class time starts and should be picked up promptly at the end of the class. •Children who are unruly or are disturbing others in an unreasonable manner will be warned, and may be required to sit out for a period of time. If this does not resolve a problem, the child’s parent will be notified and the child will be removed from the class. A refund will not be forthcoming following the dismissal of a child from any class. •Full payment is required to register for a class or workshop. Cash, debit, MasterCard or Visa are acceptable. Sorry, we do not accept cheques. •If there are insufficient paid registrations and we have to cancel a class, you will be notified and you will receive a full refund.•Should there be room in a class already in progress, new students are welcome to join. Fees will be adjusted accordingly. •Fees for classes missed because of any event beyond our control (such as travel, road conditions, illness, weather or emergencies) cannot be refunded or credited to another class. •If a teacher is not available, a replacement teacher will be obtained or arrangements will be made for a make-up class. •Cancellations must occur at least two weeks prior to the date your class starts to receive a refund. After that, you will receive a refund only if your spot can be filled by another person. We will do our utmost to fill the vacancy. •If a student needs to withdraw from a class after it has started, a partial fee will be refunded only if there is someone on our waiting list. If a student knows of someone else who may want the class, they may take over that spot in the class. •Refunds will incur a $20.00 administration charge, which will be deducted from the refund amount. Students may choose a store credit for the whole amount instead. Those notified about a class cancellation will receive a full refund. • Students are responsible for their own clean up. Please do not pour acrylic and oil paints down the sink. •Paintworks reserves the right to adjust the class schedule, adjust fees, cancel a class or modify a class at any time. 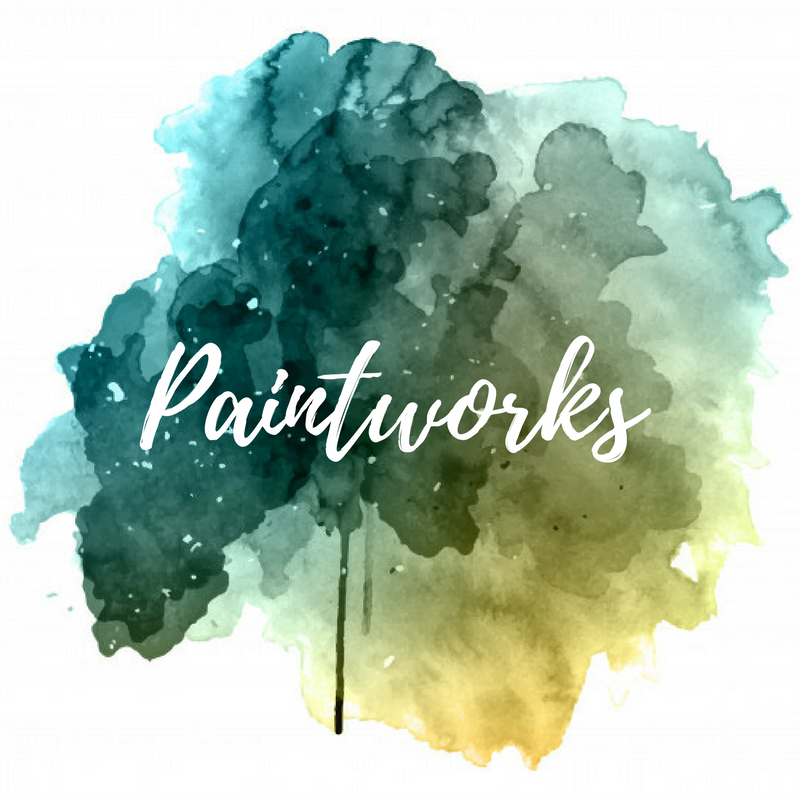 •Paintworks, its employees, and other staff will not be held responsible for any losses, stolen property or personal injury that may occur while students are attending lessons. •Paintworks is not responsible for work left in the studio. If work remains in our studio two months after a class or workshop is completed, it will be disposed of. •Students receive a 15% discount on framing (supplies only).